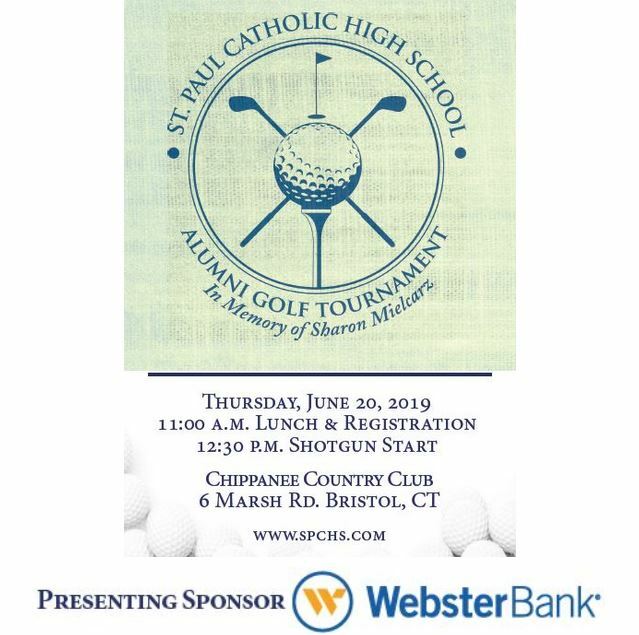 The St. Paul Catholic Alumni Golf Tournament brings together alumni and friends of St. Paul to support our tuition assistance and scholarship programs. St. Paul dedicates a portion of the proceeds to The Sharon Mielcarz Scholarship Fund which honors the memory of our friend, teacher and administrator who was an integral part of our St. Paul family for 38 years. Your participation as a sponsor, advertiser or player in this tournament will help raise much needed funds for those students who deserve a great Catholic education at the same time challenging their personal best in academics, athletics, fine arts, and service to others, as they prepare for the rigors of college and lifelong learning. Take a look at our fabulous day of golf! We had great weather and a great time was had by all.